I have a confession. I have an EXTREME fear of working with yeast. AND I am intimidated with kneading doughs. Both are somewhat problematic since I LOVE carbs! 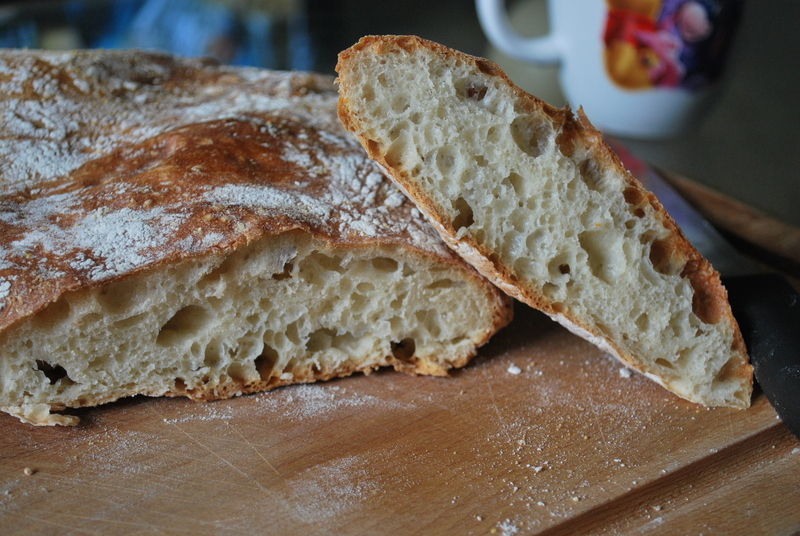 So when my sister recommended I try a No-Knead bread recipe she saw through the NY Times–I was ALL about it! Upon scanning the recipe, I was a tad skeptical of how simple it sounded but I was up to giving it a try. True to form, it was easy to do. 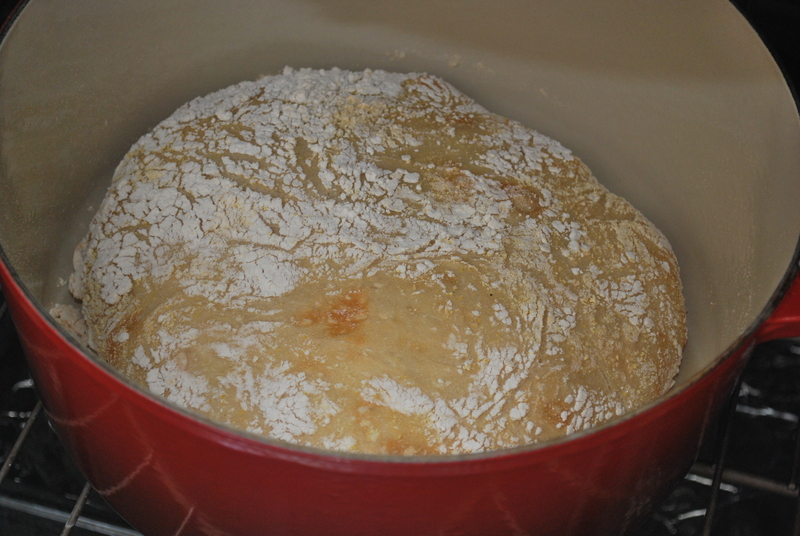 It just took A LONG time for the dough to rise and I’ll be honest–I am not always known to be patient. 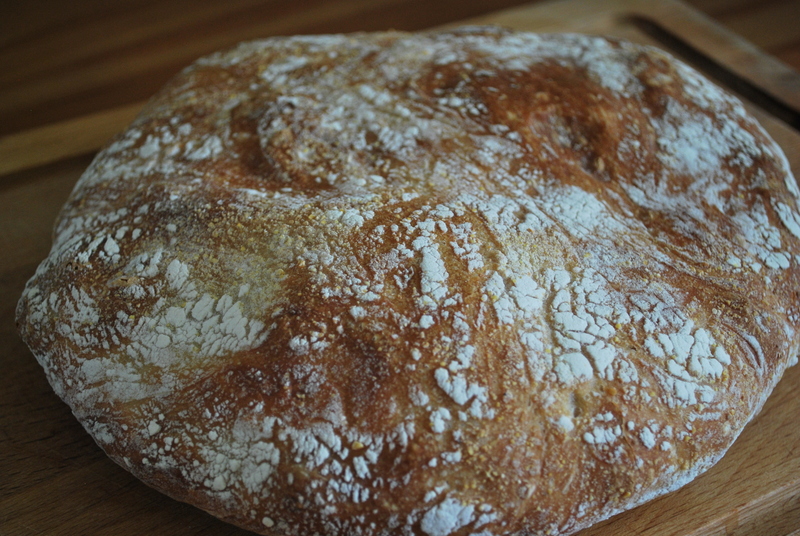 But the end results were delicious and you just can’t beat the amazing aromas of fresh baked bread as it fills your home.The bread does have a yummy flavor, great-crunchy crust, and wonderful air pockets when you cut into it. Word to the wise, you need a lot of flour on the dough to ensure it doesn’t stick. However, you will need a heavy duty pastry brush to dust it all off when it’s finished cooling. 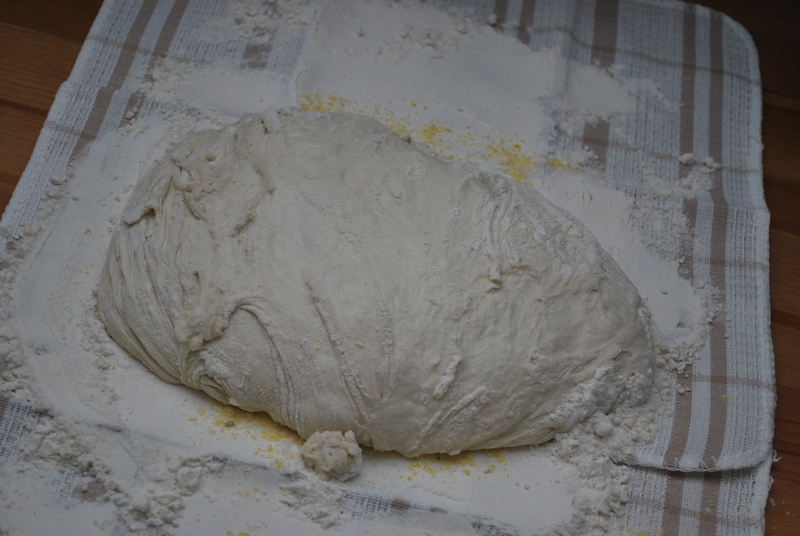 After the dough has fully rested. Removing the lid before continuing to bake. Ta-Da! You won’t need to buy bread again!